Acropolis was recently named as one of the top two entertainment acts in the world. 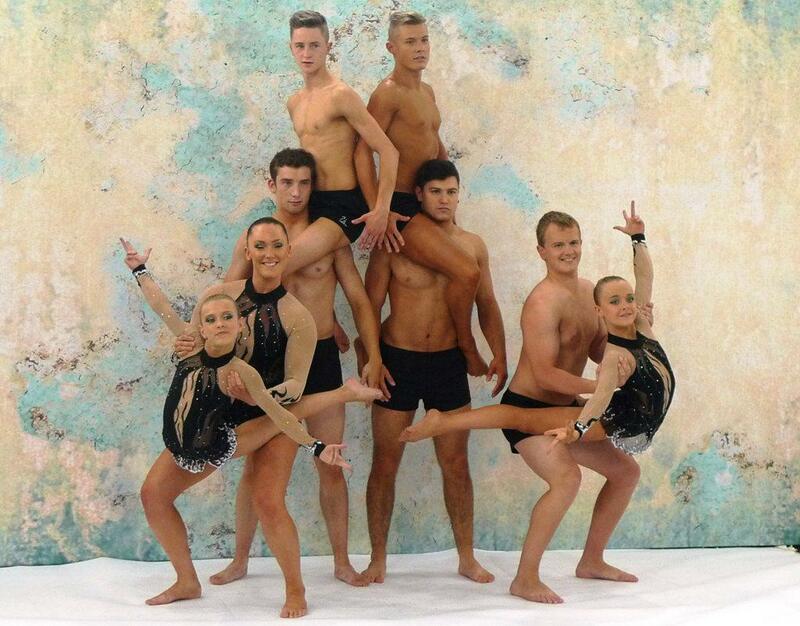 Winners of ITV1 ‘Let’s Get Gold’ and runners up in TF1 ‘The Best: Le Meilleur Artiste’ this group of elite acrobatic gymnasts between them they have won a vast amount of medals in their sport both at national and international level for the Great Britain acrobatic gymnastics team. They are available to hire as corporate entertainment at private functions and corporate events all over the world. 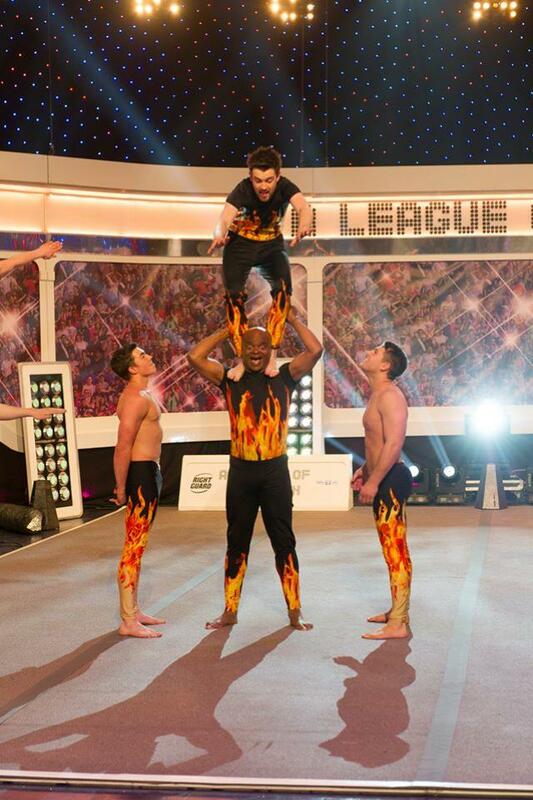 These acrobats have been working as corporate entertainers recently appearing on SKY1s ‘A League of Their Own’ and on stage with Diversity in the full Limitless Arena Tour. Wow your guests and have them on the edge of their seats as a team of elite GB international medal winning acrobats entertain, enthral and captivate with beautiful gymnastics and stunning choreography. 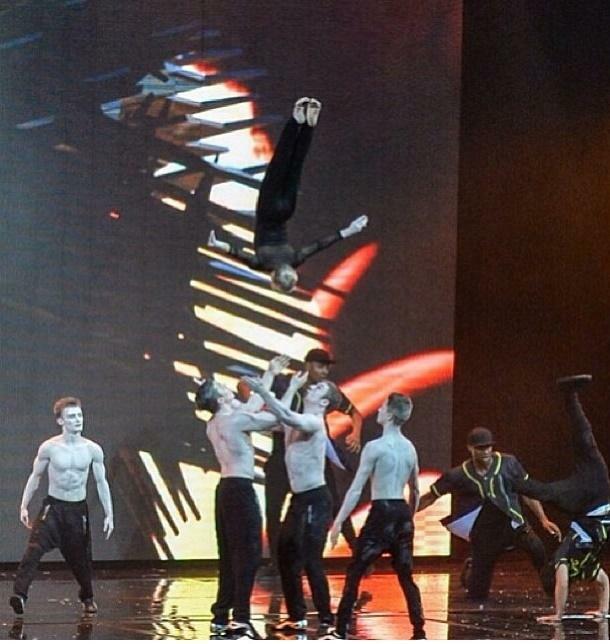 Including current British, European and World Champions the group perform a variety of acrobatic skills, demonstrating strength and power mixed with a unique style and creative flair. 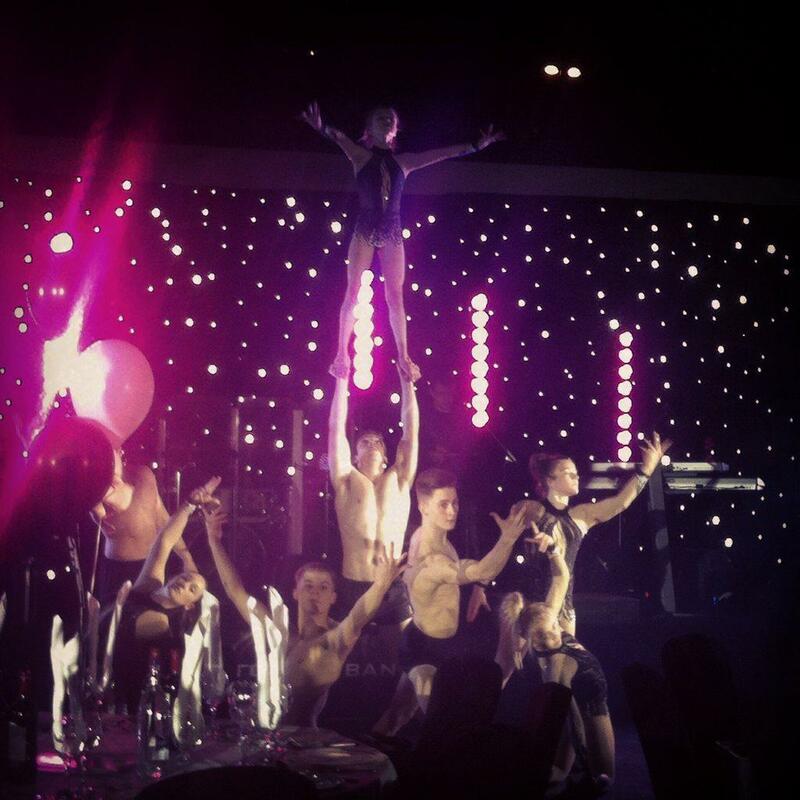 Acropolis has a vast amount of experience and expertise in performing in sporting competitions as well as at corporate events and are ready to bring the wow factor to your next event! Acrobatic Gymnastics with its infusion of choreography and complex acrobatic skills is a delight for spectators. 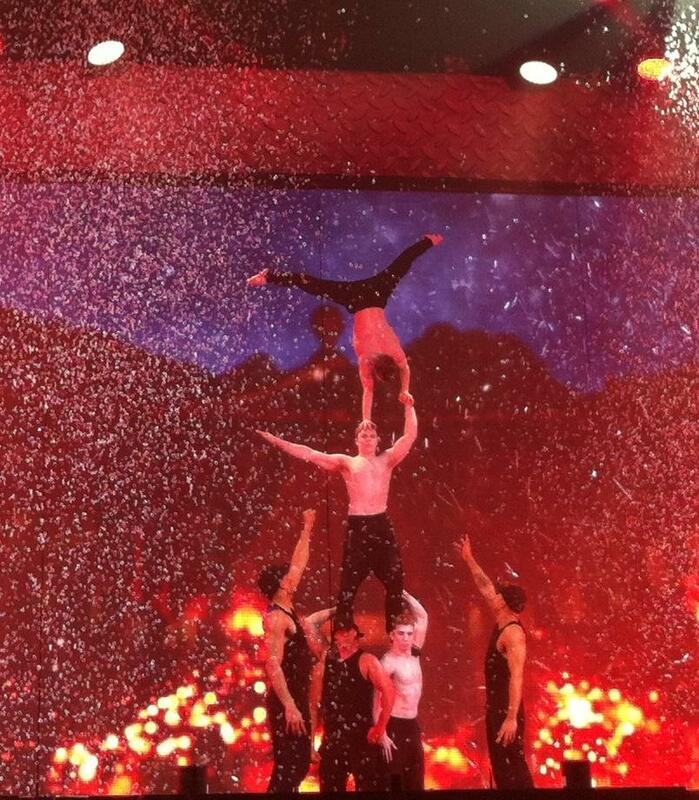 Requiring strength, agility, flexibility and balance, as well as acrobatic skills the results are spectacular. A performance of incredible feats of strength, agility and bravery as they take flight and literally take your breath away. This routine took Acropolis to the final of ‘The Best’. 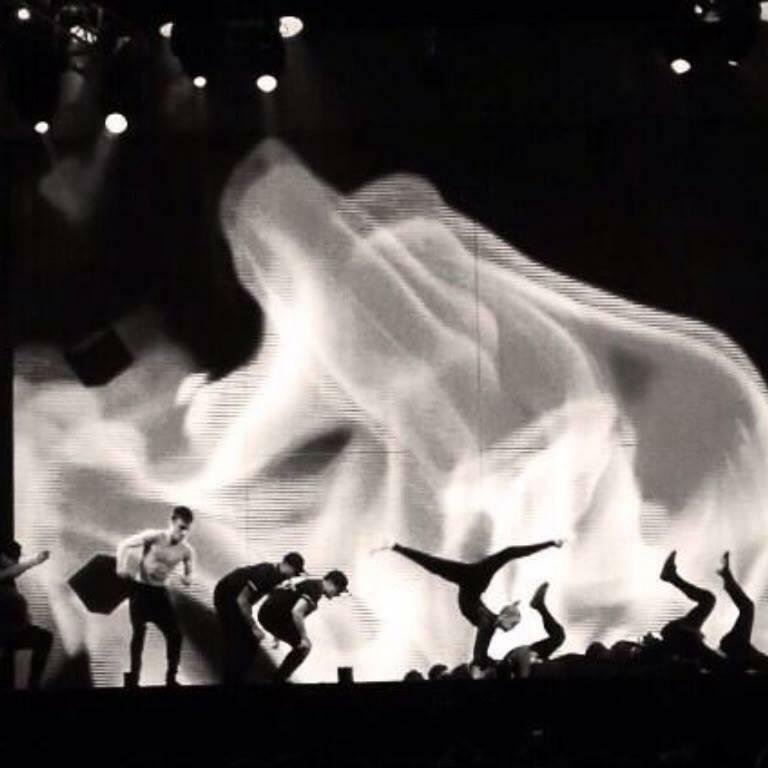 A stunning visual routine combining acrobatic skills with creative flair stunningly choreographed to the popular track. This routine earned Acropolis second place in the TV show ‘The Best’. – An enchanting performance combining both hand-to-hand and pedestal work requiring such strength, balance and control that it will leave your audience spellbound. A captivating performance of acrobatic dance where the troupe literally fly high combing classical dance with precision acrobatics. Acropolis ideally requires floor-space of at least 6m x 6m and a minimum height clearance of 7m, however other dimensions can be easily accommodated. Matting may be required for hard floor surfaces, which can be supplied by Acropolis if necessary.